During 2013 our staff were involved in numerous projects where we provided lamprey translocation services. This is moving lampreys out of the way of instream works, and is also sometimes referred to as fish salvage. We also moved other fish species, white-clawed crayfish and Freshwater Pearl Mussels out of the way of instream works. Three examples work of this type which we completed during 2013 are listed below. During 2013 ECOFACT provided ecological monitoring services on the N11 Rathnew to Arklow Road Improvement Scheme. As part of our work on this project we undertook fish (trout and salmon) and lamprey translocation work on a number of watercourses that were subsequently diverted to facilitate the construction of this national road scheme. For more on this project see this link. 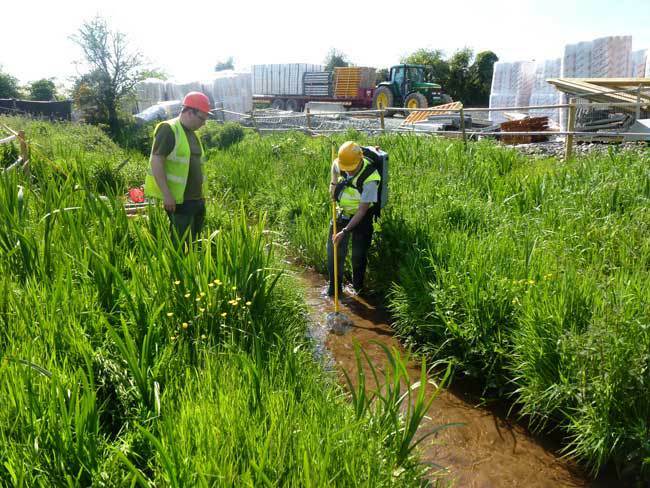 We also were engaged by a building firm to translocate lampreys from a 100m long section of stream that was about to be diverted on a construction site during 2013. The work was again completed using depletion electrofishing. The lampreys were transported to downstream of the works site and released into similar habitats, following measurement and enumeration. Overall, a total of 1,250 brook lamprey ammocetes were captured and translocated downstream. For more on this story see here. We also completed a major project translocating juvenile lampreys out of the way of proposed railway bridge maintenance works on a river in Co Kerry during September 2013 on behalf of Irish Rail. Over 500 juvenile lampreys (brook, river and sea lampreys) were moved from the affected area upstream. We also translocated over 50 freshwater pearl mussels from the works area at this site. Likewise, we moved juvenile salmon and trout out of the way of these works. 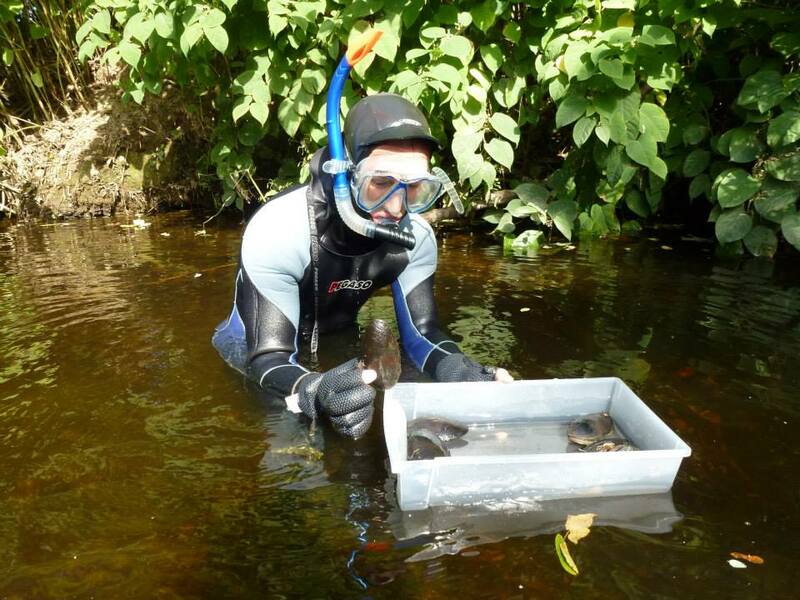 This is very specialised work and ECOFACT is the only team in Ireland qualified to do this this type of translocation work, for lampreys, salmonids, white-clawed crayfish and freshwater pearl mussels. The lamprey translocation work described above was all undertaken under licence from the Department of Communications, Energy and Natural Resources. For further information on lamprey translocation and salvage visit this page. If you require any further information on lamprey, fish or indeed freshwater pearl mussel or white-clawed crayfish translocation work please do not hesitate to contact Ireland’s leading ecology team.